Reflect: I have faith that the path to transformation is a gift that God offers me; and that we can offer to others as God’s witness. What practices will help me be a wise witness to Truth, help me make sense of the world, and help me learn to be present for those who feel worthless or hopeless? 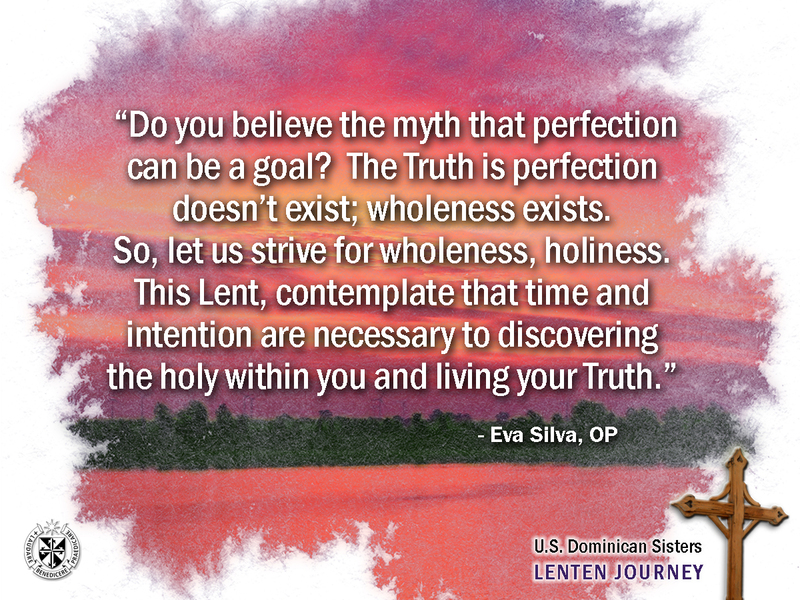 Grand Rapids Dominican Sister Eva Silva reflects on the fourth Sunday of Lent.